This place just scraped into my Top 20. All the four dishes I've had here on my previous two visits have received scores of 7 from me. I had previously ordered duck spring rolls, but I was sure they contained coriander, despite me requesting no coriander. I check with the waiter, who checks with the kitchen. He then tells me that there was no coriander. They replace the spring rolls with a salad. Waitress informs me there actually was coriander in the spring rolls. 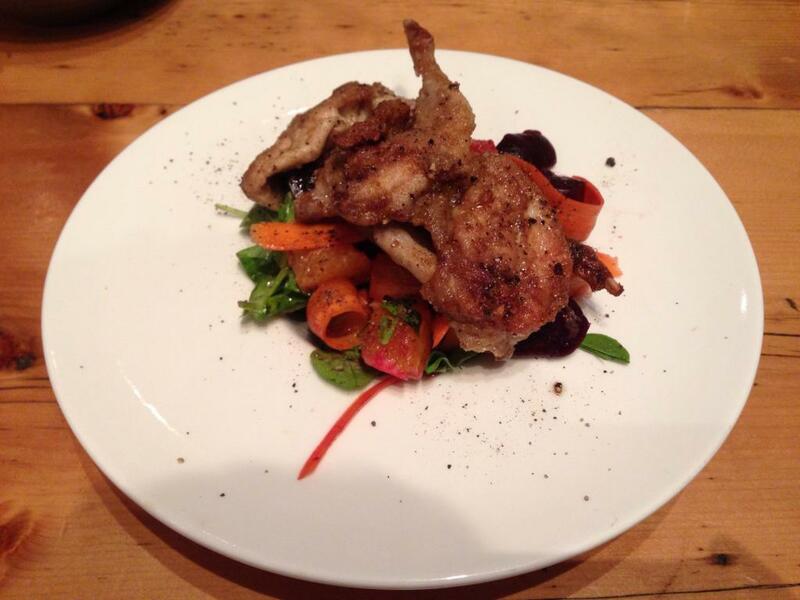 The quail is a little bit finicky, as always, but the salt and pepper adds a strong, if nondescript, taste. The salad is fairly crude, and has a taste that's basically the sum of its parts. It's big slivers of carrot, orange, and beetroot, with some kind of sprout leaves. It's pleasant enough, though. The pea, fetta and mint salad (a second salad, the replacement for my coriander spring rolls) is more interesting. It has some tangy flavours from the radish and fetta, and the bits of mint are interesting too. I just don't want a second salad. Served warm with butterscotch sauce and ice cream. The pudding is very moist and soft, and has a very strong figgy taste. Despite its nice taste, it's slightly one-dimensional. 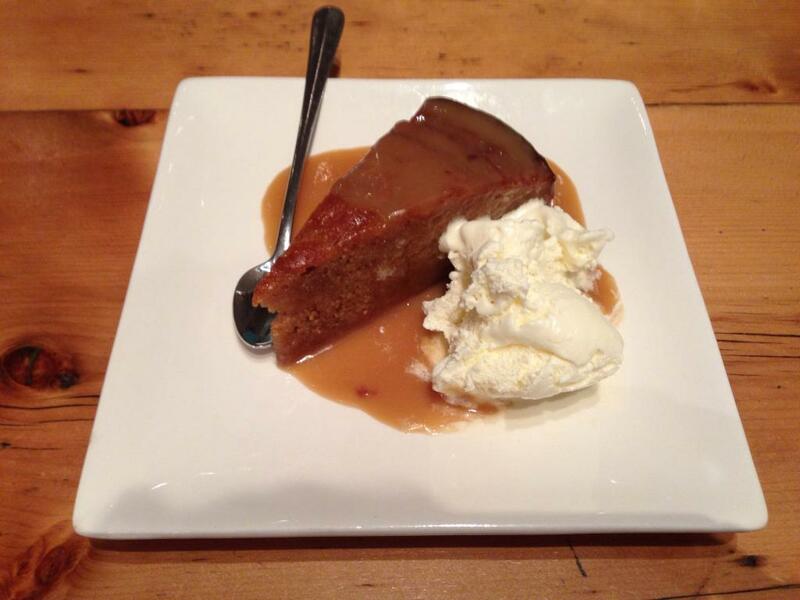 Figgy pudding with ice cream. The fig seeds provide an interesting experience as they pop while I feed upon the pudding. Coriander capers. Second, superfluous salad.